The course is 5000m (5K) long. The course is at Gloucester Park, Gloucester. The course is run on a mixture of tarmac paths, trail paths and grass. Some sections of the course may accumulate mud, leaves and puddles after rain. Dependent on availability, marshals will be at key sections of the course, or signs will be in place. We hope these tips help to ensure that Gloucester City parkrun is fun and safe for everyone. The course is in Gloucester park, located off Park Road in the Westgate ward of the city centre of Gloucester. A flat, three lap run around the perimeter of the park with a short extra loop to the finish. Starting by the children’s play area. Runners meet by the Bandstand. Pedestrian access points at Spa Road, Trier Way and Montpellier. The clockwise route follows the perimeter path of the park until reaching the bridleway by the cricket pitch, it then loops back along the same bridleway before turning left and following the perimeter path of the park back past the bandstand to complete a lap. It’s then two more laps until the finish line, which is clearly marked and involves a final loop down the wider diagonal main pedestrian route until turning sharp right onto the grass allowing for a sprint finish. The event starts by the children’s play area. 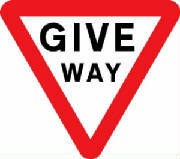 From Gloucester Train Station / City centre: Turn left on station forecourt and go straight on at the junction of Metz Way and Bruton Way, crossing the road at the pedestrian crossing. Continue straight on crossing the road at the next junction of Barton Street, Bruton Way and Trier Way. Continuing walking straight on with the “Go Outdoors” store on your left. Cross the store’s car park entrance and cross Trier Way to the park’s main entrance opposite. On entering the park, turn right and follow the perimeter path anti-clockwise until you reach the bandstand. Directions from Train Station / Abbeydale / Matson: At the junction of Metz Way and Bruton Way go straight on along Bruton Way (coming from train station) or turn left onto Bruton Way (Abbeydale / Matson). Go straight on at the next junction (Barton Street, Bruton Way and Trier Way) and then turn second left into the “Go Outdoors” car park entrance. Cross the store’s car park entrance and cross Trier Way to the park’s main entrance opposite. On entering the park, turn right and follow the perimeter path anti-clockwise until you reach the bandstand. Sat Nav: GL1 4DZ. Directions from Bristol Road / Quedgeley: Turn right at the major road junction of Bristol Road and Trier Way. Follow Trier Way around to the left, with the park on your right. At the 2nd set of traffic lights (junction of Trier Way and Park Road) turn right into the “Go Outdoors” car park entrance. Cross the store’s car park entrance and cross Trier Way to the park’s main entrance opposite. On entering the park, turn right and follow the perimeter path anti-clockwise until you reach the bandstand. Sat Nav: GL1 4DZ. Every week we grab a post parkrun coffee in the GL1 Leisure Centre Café - please come and join us!